Interplay veteran and Thor concept artist Vance Kovacs tells us how he went from painting other people’s heroes to creating his own IP and crowd-funding his new art book – and his upcoming Gnomon workshop on color design. Vance Kovacs is a concept artist and illustrator. His career began at Interplay Productions, where he worked on such iconic titles as Icewind Dale and Fallout 2, and now spans more than 15 years of work in films, games, theme parks and publishing, with movie credits including Thor, Men In Black 3, John Carter, the Narnia movies and the upcoming Dawn of the Planet of the Apes. In 2012 he founded Carbon Canyon Studios with his friend and former Interplay colleague Justin Sweet. The pair recently ran a successful $70,000 Kickstarter funding campaign for their upcoming concept art book The Art of Eclipse: The Well and the Black Sea, and aim to work on more new IP together. On Saturday 1 February, Vance will be hosting the Gnomon School of Visual Effects’ Weekend Workshop on Intuitive Color Design. We caught up with Vance to hear more about the lessons he has learned during the course of his eclectic career, his techical tips, and his advice for young artists. CG Channel: How did you come to meet Justin? Vance Kovacs: We became friends when I was a teenager: I knew him just before he was married. Justin was going to college and painting at our house in a spare room we had. During that time I got a concept artist position at Interplay. When I was there, another project needed an illustrator for a game cinematic, so I recommended Justin. For five years we shared an office in the company’s Black Isle division, then after Justin decided to move into his freelance career, I stayed on. CGC: You worked on some really iconic games at Black Isle, including Icewind Dale. How did you get from there to movie concept work? VK: We’d been working on a third-person 3D RPG set in the Forgotten Realms intended to be Baldur’s Gate 3: The Black Hound. [Icewind Dale’s] Josh Sawyer was at the design helm, and I was the lead artist. I helped with rendering pipeline, and the engine looked great. We developed a way to get our environments lit with global illumination – this was around 2002, so we were ahead of the competition visually – and we had a powerful character/costume and effects system. Narnia concept art. Vance worked on all three recent film adaptations of C.S. Lewis’s books, with The Lion, The Witch and The Wardrobe acting as his first foray into movie concept work. CGC: When did you launch Carbon Canyon Studios? VK: Justin and I formed the company in 2012, though it’s been a dream for quite some time. Officially, I and Justin own the company, but our buddies John Dickenson and Marshall Vandruff have been a part of our group, too. The Eclipse book will mark the first project that we do as a studio and move us into making our own art projects. CGC: You’ve said in interviews that crowd-funding The Art of Eclipse took you out of your comfort zone. What made you decide to try your hand on Kickstarter? VK: I’d been watching Kickstarter for quite some time. When Double Fine went up there in 2012 asking for $400,000 and got $3.3 million, I knew this marked a new chapter for independent developers. On the heels of that, one after another, Stoic, Brian Fargo, and Feargus and Obsidian all got huge support for their projects. That really inspired us. But who knows if Kickstarter will continue to grow, or if the whole thing will fizzle out? We had a window of time to get up there and give it our best shot. I’m so glad we did: for so long, I’ve been wanting to break away and do my own thing. Justin and I really mesh creatively, and I feel we can produce something better together than we could individually. The book will help carve out our own niche. 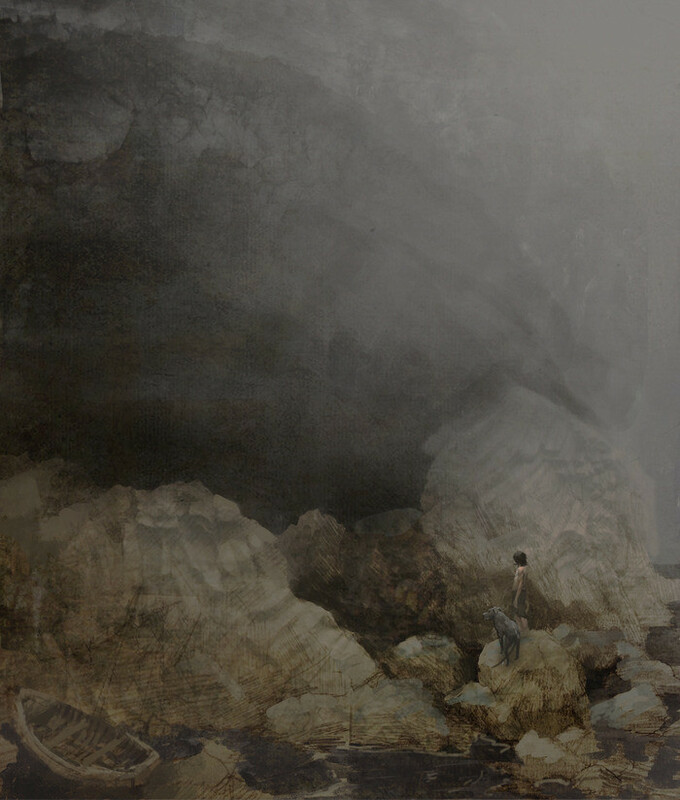 An image from the Kickstarter campaign for The Art of Eclipse: The Well and The Black Sea. 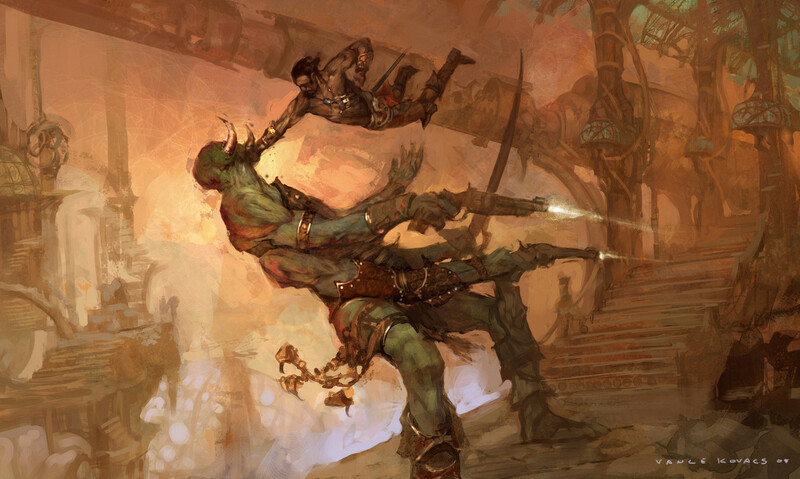 Vance Kovacs and Justin Sweet’s crowd-funding campaign for the concept art book successfully raised over $70,000. CGC: Tell us a bit more about the world of Eclipse. What goes on there? VK: Eclipse is a mature poetic fantasy: kings, creatures, seafarers. Thematically, it’s a world that we can really sink our artistic teeth into, with deep layers for us to explore emotionally. I’m not going to try to explain it here in words. A good deal of mystery shrouds the world, and I’m a fan of letting people gather their own perspectives. CGC: You’ve said it might lead on to a game or short film. Do you have anything specific in mind? VK: We originally conceived the world we’re developing as a game. Having started off as artists at a game company, perhaps that’s written in our DNA now. I’ve become a huge fan of brief story-rich/art-centric games like Portal, Journey and Dear Esther, as well as independent games like Braid, Limbo and Sword & Sworcery EP. Games offer an exciting way to play out narrative: one that I think is more akin to how we experience life. We plan on building, texturing and lighting the majority of the world ourselves. Game tools are extremely powerful now and becoming more and more assessable to creative types – I’m half nerd anyway, so I can always adapt to new software. Nowadays I can just go to the internet and download tools like UDK and CryEngine and get developing in a matter of minutes. CGC: Would it actually matter if it didn’t lead on to anything else, though? It could be a new genre: ‘pure’ concept art. VK: Ah, good question! No, it sure doesn’t. It’s always been our intent that the art should stand on its own. Regardless of what Eclipse could potentially become, we want to treat the book as its own art form. Vance’s concept art for John Carter. Although going from high-profile movie projects to working primarily on his own IP is a leap of faith, he says that he’d “rather drive” his career than be a passenger. CGC: How does creating concept art for yourselves differ from working for a conventional client? VK: Well, the main difference is that we’re not employees. We play the role of employer, director and editor. Though this might seem daunting, I think we’ve always been moving in this direction. It’s the difference between being a driver and being a passenger. Given the risks, I’d rather drive. CGC: So if you could only work on your own IP, would you choose to do so? VK: At this point in my career, for sure. I’m always game for drawing and painting cool characters and compelling scenes, so it’d be hard to pass up on Batman or something cool in the Star Wars universe. But even given those as a choice, I’d want to bring my own voice to it. 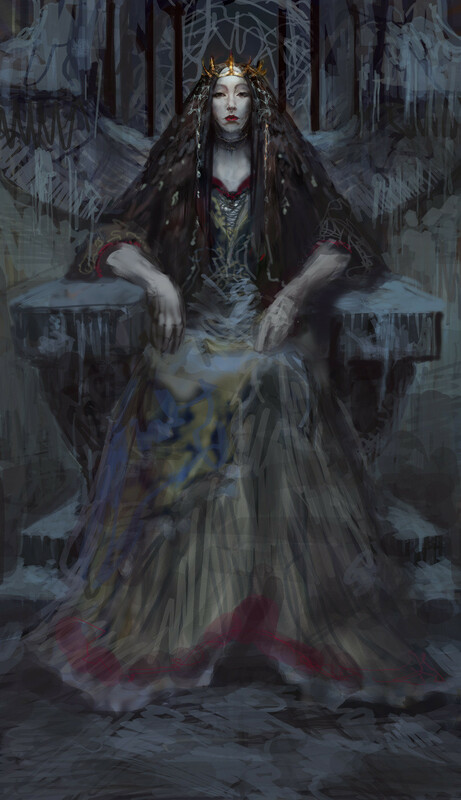 Thor concept art: Vance’s work spans 3D imagery, digital painting and traditional media. However, he believes that it’s more important to grasp fundamental artistic principles than it is to master many styles. CGC: You work in a range of styles. How important is it to have different techniques in your arsenal? VK: It isn’t a prerequisite by any means. I’ve never tried to have different styles. I guess one idea I have floating in the back of my mind is to get my images to fit the voice of the project. I’m also impatient and I’ll try to find a quick way to produce what I see in my mind. Having different tools means that your hand can touch more parts of a project, but if you happen to be great at one thing… hats off, go for it. CGC: You’re going to be covering color theory in your Gnomon Weekend Workshop. What’s the biggest mistake you see young artists making when it comes to color? VK: A lack of sensitivity to design and temperature. Young artists, even if educated in color theory, can’t seem to bring those guiding principles into harmony on their canvases. CGC: So what’s the secret? VK: Think of color like you think of flavor in food. There are certain tried-and-true recipes: combinations that just always work. However, there is space for experimenting and putting unpredictable combinations together. This is where our art can leave the physical world and tap into something beyond what we merely see with our eyes. An image for Snow White and The Huntsman. Colors are like flavors, advises Vance: some classic combinations will always work together – but that doesn’t stop you cooking up new recipes of your own. CGC: Let’s round off with a bit of career advice. What are the three most important qualities a concept artist should have? VK: Good ideas. Good craft. And a thick skin. CGC: Yes, I’ve heard you say that 70% of concept work ends in rejection. Do you have any tips for managing situations where you don’t see eye to eye with a director? VK: That’s always difficult in any profession. I think the best rule of thumb is to be cool as you can under criticism. I’ve always heard that you shouldn’t defend your work as it’s being critiqued: you just have to take it, even if you don’t agree with it. There are no guarantees that anybody will like or use my ideas, but that can be due to any number of factors, so I try not to take it personally. I feel privileged to be able to do this for a living, and it’s far better to spend the time on this earth doing good work with good people than feeling embittered about somebody not liking the fact that I added extra horns to a dragon’s head.